12th October 2015. 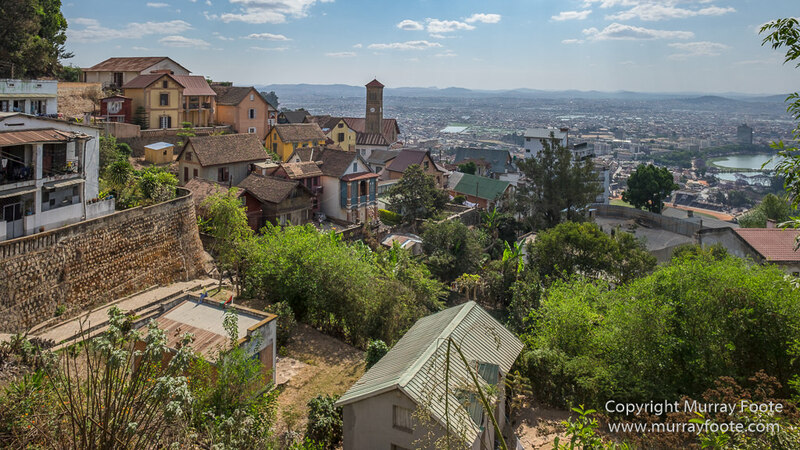 Antananarivo, Madagascar. 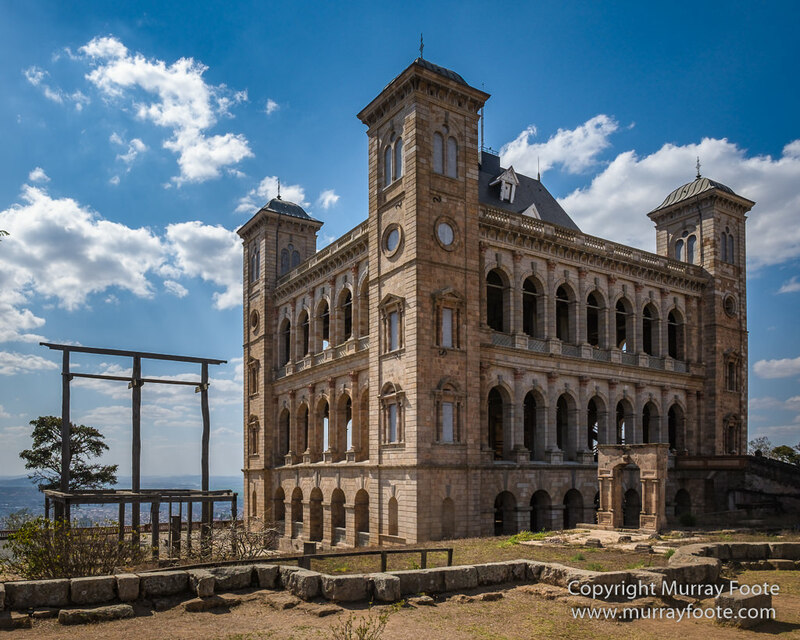 I had some time on my hands after arriving so I visited the Rova of Antananarivo, the palace of the Merina monarchs, high above the city. 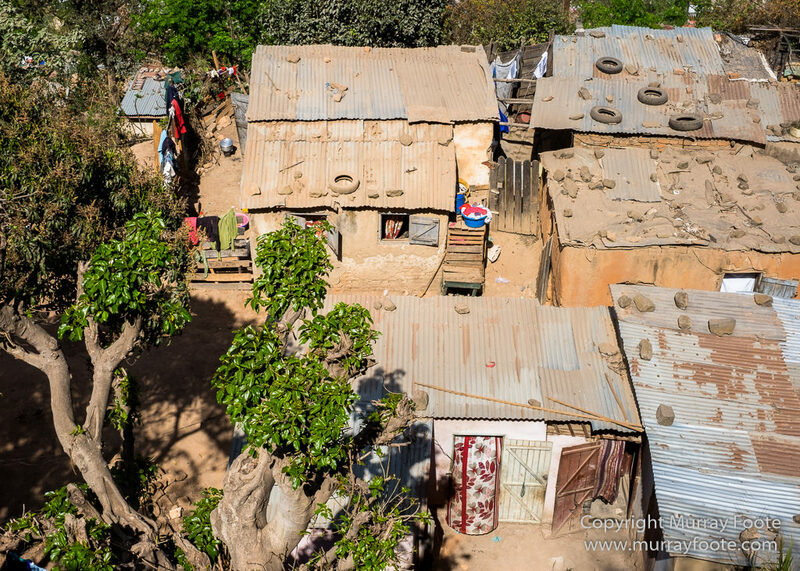 The white building is the tomb of Queen Rasoherina and the building to its right is the tomb of King Radama I. More on them shortly. 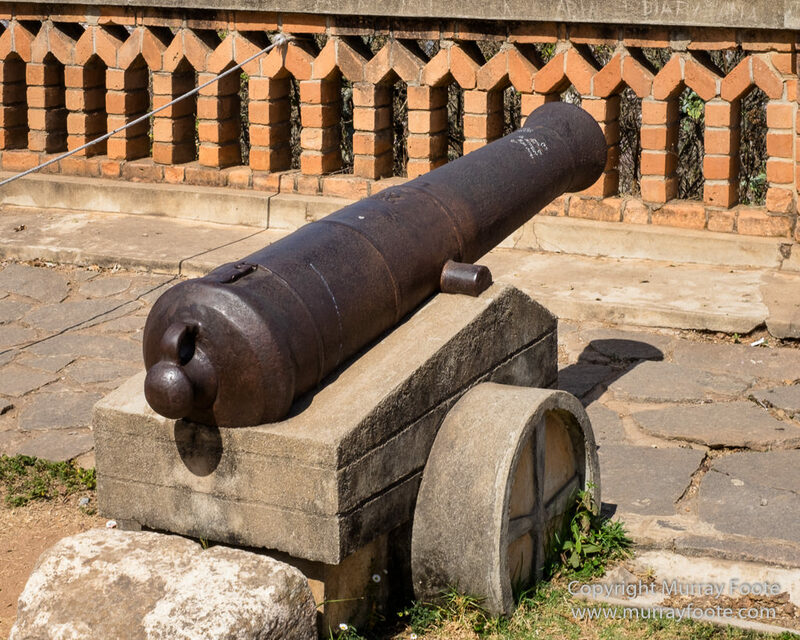 For much of its human history, Madagascar was divided into small chieftainships and for a couple of centuries, pirates also maintained a presence, particularly in the Island of Sainte-Marie off the east coast. 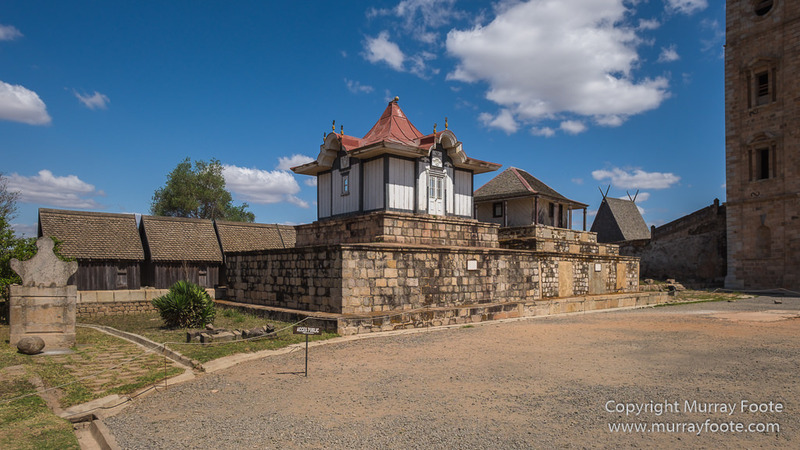 The Merina king Adrianjaka conquered Antananarivo (Tana) in 1610 or 1625 and erected the first building on this site. 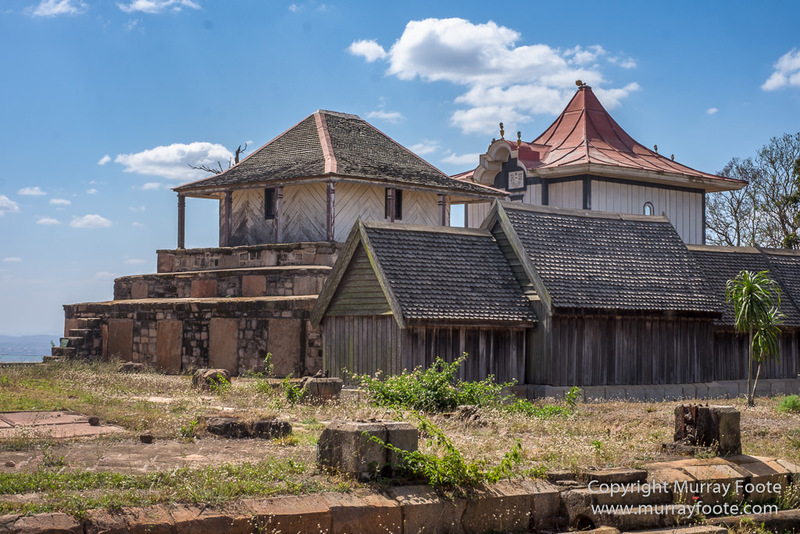 The Merina would in due course rule over the whole of Madagascar and the ruler to start this expansion was King Andrianampoinimerinandriantsimitoviaminandriampajanka (for some reason, usually known as Andrianampoinimerina) who also constructed many buildings on this site. 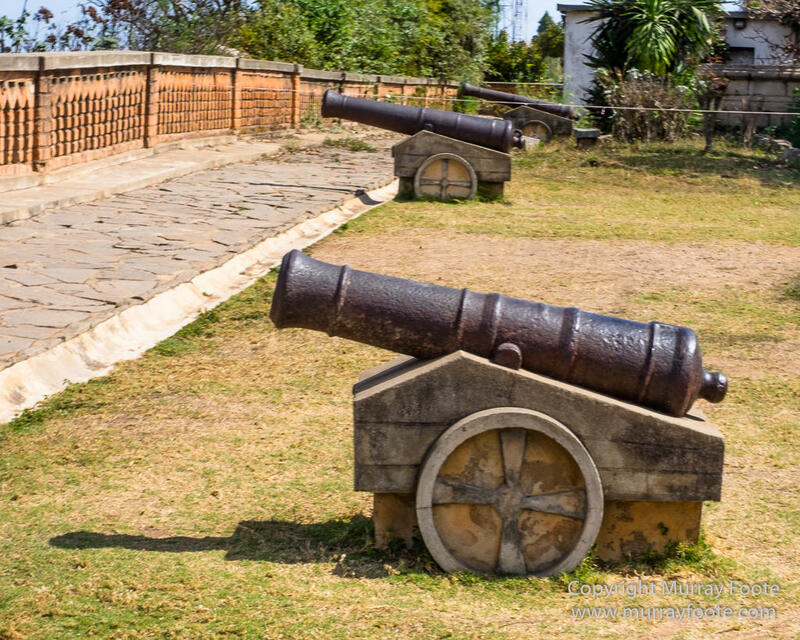 Between 1787 and 1810, he expanded the tiny kingdom or Ambohimanga to a large area in the centre of the island. His son Radama I (1810-1828) expanded the kingdom to the whole island. 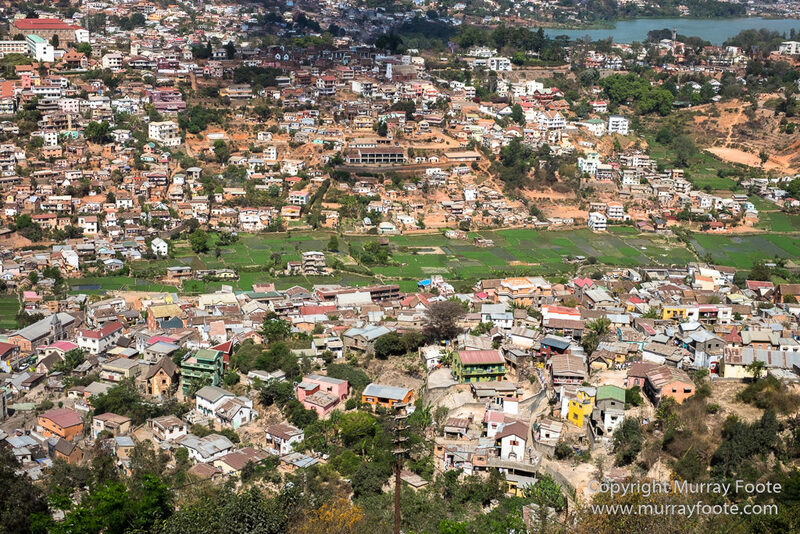 A view from above of a part of Tana, including the paddy fields that persist even near the middle of the city. Looking straight down to houses below the walls. The tomb of King Radama I again and that of Queen Rasoherina to the right. Worker cottages below them to the right. Radama had good relations with the British and welcomed missionaries and westerners with useful skills. After his death, his wife succeeded as Queen Ranavalona (1828-1861). She threw out the missionaries and westerners and massacred local Christian converts. She was followed by the liberal monarch Radama II, who was friendly to Europeans but assassinated after only two years (1861-1863). His wife followed him but the real power was with the Prime Minister who married the queen. He in turn was overthrown by his brother Rainilaiarivony, who succeeded as Prime Minister and married three queens in succession – Rasoherina (1863-1868), Ranavalona II (1868-1883) and Ranavalona III (1883-1897). 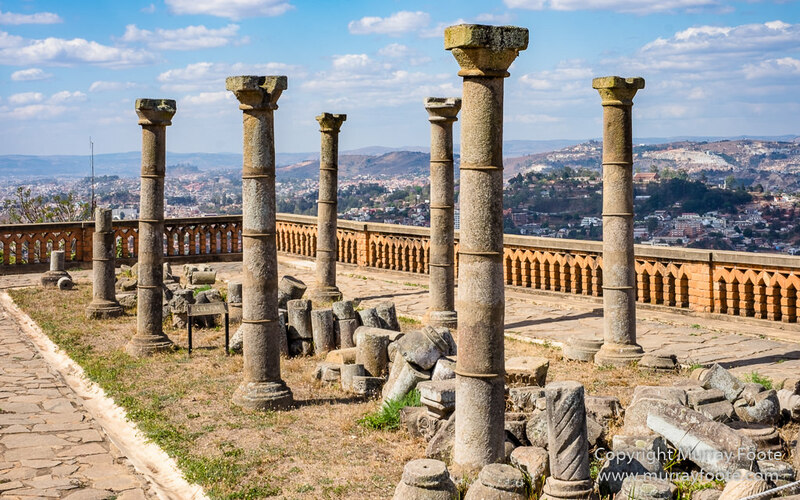 I think this colonnade is a remaining fragment of Tsarahafatra, a small palace built for Ranavalona I, but destroyed by French shelling during the invasion of 1895. Like Tahiti, Madagascar wanted an association with the British but was instead invaded by the French. Radama II had given some land to a Frenchman at court, Joseph-François Lambert, in defiance of ancestral rights, and this was later overturned by Rainilaiarivony. This provided an excuse for the French who invaded in 1883 and again in 1895 when they took over and then in 1897 abolished the monarchy. Britain conquered the country from the Vichy French in the Second World War and held it for a few years until they returned it to the Free French Government. A Malagasy uprising in 1947 was brutally suppressed and 80,000 are said to have died. The country became independent in 1960 but a succession of incompetent and corrupt governments have made it far less prosperous than it could have been. A stairway to heaven, perhaps. Probably part of the Masoandro foundations, a palace whose construction was halted by the French invasion. 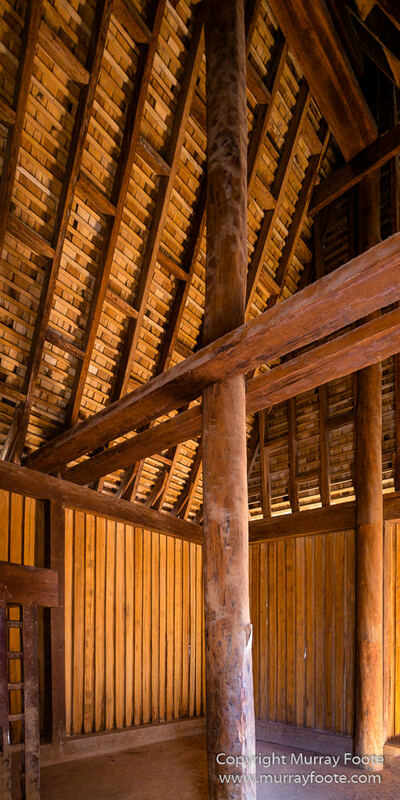 I think this is the underneath of the roof of Besekana, a recreation of the traditional cottage where Radama I lived (also the next image). Also known as the Queen’s Palace, it was ortiginally built in wood for Queen Ranavalona I in 1839-40 and later encased in stone in 1867 under Ranavalona II. 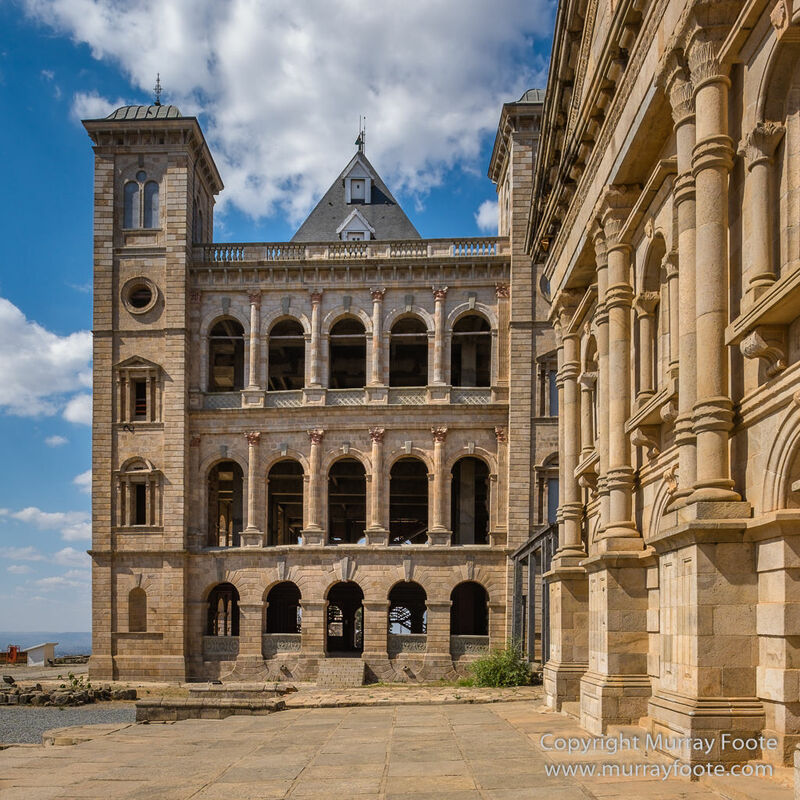 This was the cultural centre of Madagascar until it was destroyed by fire in 1995, probably arson and probably by corrupt government officials, and just when it was about to be declared as a UNESCO World Heritage site. 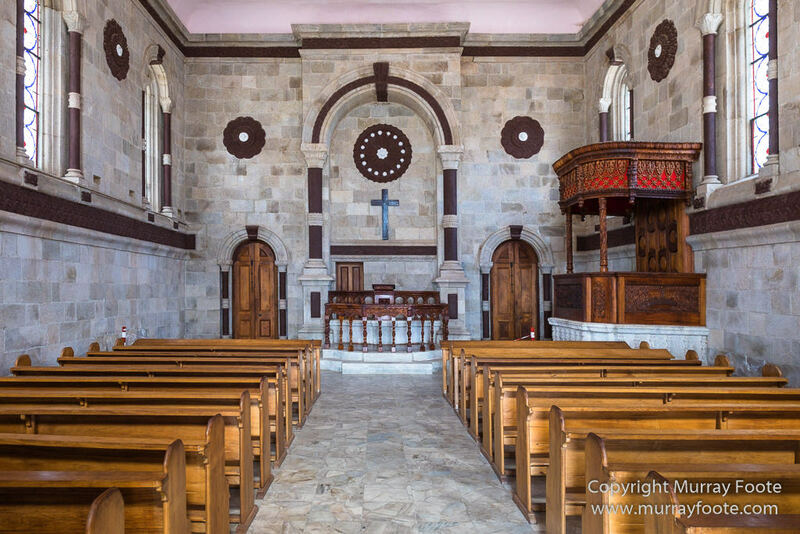 A massive reconstruction project by UNESCO dismantled and restored the building but after the 2009 coup, the task of restoring the interior of the building fell into abeyance. This is the Royal Chapel, which survived the fire. A view over Tana from a different angle than the earlier one. The Prime Minister’s Palace, the residence of the infamous Rainilaiarivony, who married the three queens. 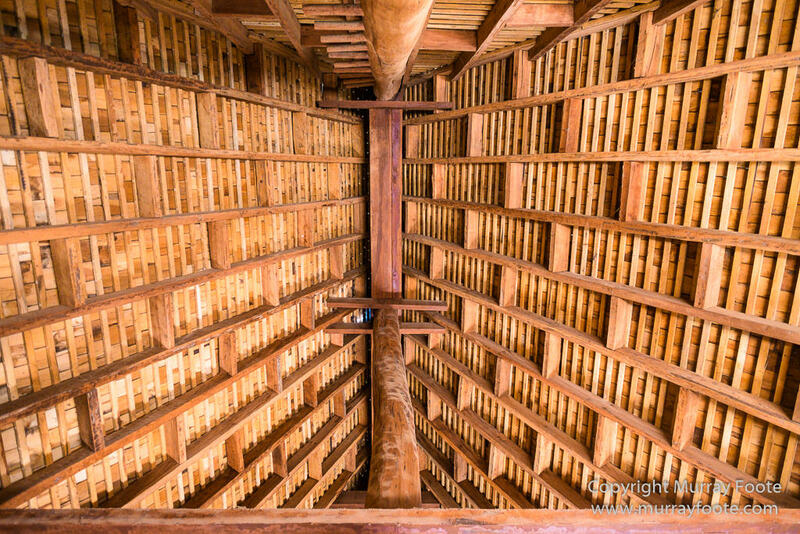 The building is closed to the public and the roof leaks, placing the contents and the wooden panelling in danger. The contents include items intended for the Queen’s Palace at such time as it is fully restored, including items saved from the fire in 1995. 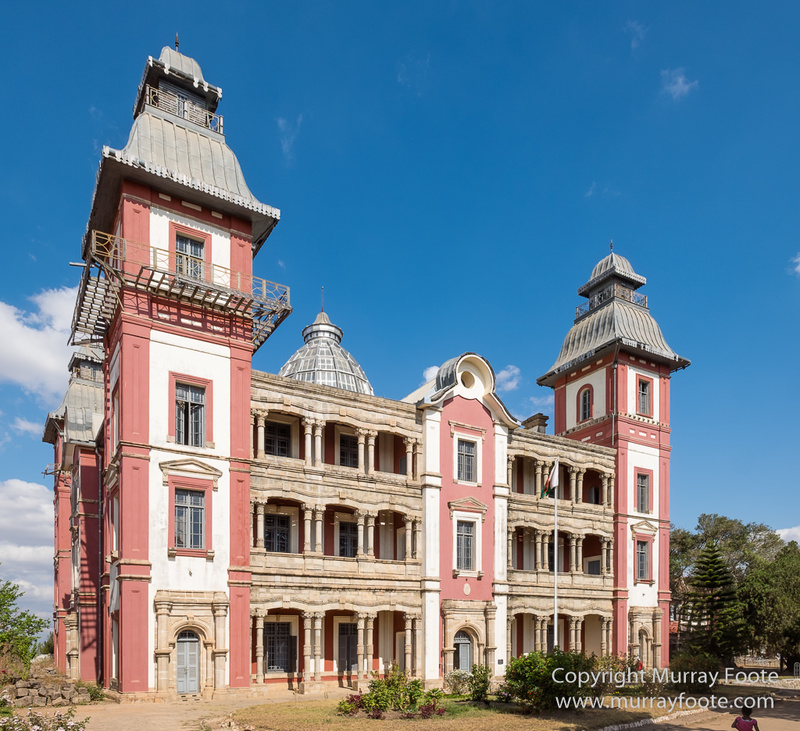 This entry was posted in Madagascar and tagged Antananarivo, Architecture, History, Landscape, Madagascar, Photography, Prime Minister's Palace, Rova of Antananarivo, Rova of Manjakamiadana, Travel. Thank you. 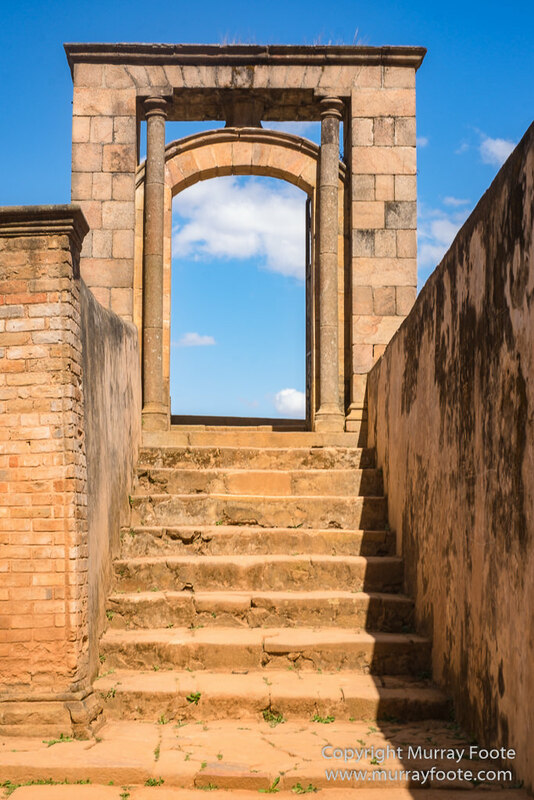 There’s not too much of historic public buildings in Tana and the history and culture are fascinating.